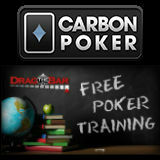 The Carbon Poker Academy features free poker training videos from more than 30 poker coaches from DragTheBar. There are three basic courses available to teach players how to play Texas Holdem, poker tournaments and Pot Limit Omaha. Watch the free poker training videos to help improve your poker game and give you an edge on your competition. Use the Carbon Poker Odds Calculator, a free poker tool available to all registered CarbonPoker players. 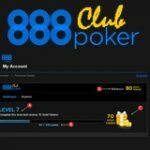 The Carbon Poker Academy training videos are a great way to learn how to play poker online in three different ares of the game: No Limit Texas Holdem, Poker Tournaments or even Pot Limit Omaha. Learn the basics of poker to help you improve your poker skills and become a winning player, the Carbon Poker Academy offers great poker tips for beginners to medium level players. Get access to DragtheBar for additional videos. 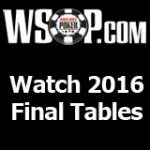 Learn about the power of position and how to use it to your advantage, know your table positions and start play profitably. 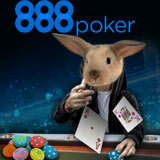 How to play more than one poker table, play more poker hands and make more money multi-tabling. Using aggression in poker to win more poker hands, the art of learning whether to check or bet. The first part of learning to play poker tournaments focuses on the mistakes many players make while playing tournament poker. 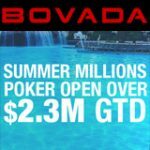 How to adjust your playing style based on your chip stack size and what stage the tournament is at, when and how to bluff in late stages. 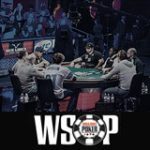 How to adjust during the final stage of the tournament before and after the bubble burst and maintaining position on the final table. Using bankroll management to play tournaments within your buy-in range and ways to increase your bankroll. 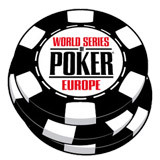 Which hands to play in early stages of tournament poker, basic concepts and poker position. Pot Limit Omaha is an action poker game and requires different strategy than Texas Holdem Poker games. Carbon poker also offer a free Omaha Calculator which is available to all registered players. Learning to use the power of position in Pot limit Omaha to your advantage to win more poker hands. Understanding the strength of your poker hand post-flop in Pot Limit Omaha, based on the texture of the flop, stack size and amount of players in the hand. How to play drawing hands post-flop in Pot Limit Omaha games and avoiding troublesome hands. Bankroll management for Pot Limit Omaha, playing within your limits to play profitably. The best starting hands for Pot Limit Omaha pre-flop which hands to play and which hands to avoid.